Archaeologists Discover World’s Stalest Piece of BreadTalk about ancient grains. 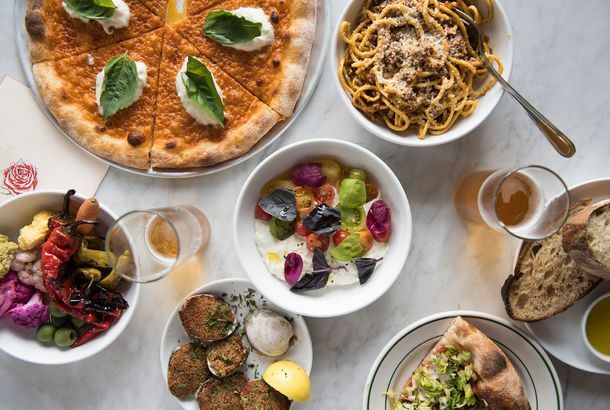 First Look at Old Rose at the Jane Hotel From the Owners of the SmileIt’s a lighter, healthier approach to Italian food (and hotel restaurants). Here Is All the New Bread New Yorkers Need to Eat Right NowFrom Yemenite kubaneh to ramp focaccia. Here’s How You Bake Bread Using the Heat of a VolcanoStep 1: Go to Iceland. Pastry Chef Pam Yung Will Leave Celebrated Restaurant SemillaThe baker extraordinaire intends to take a little time off. The Absolute Best Baguette in New YorkNo longer the floppy, enriched white loaves of yesteryear, baguettes are having a moment. 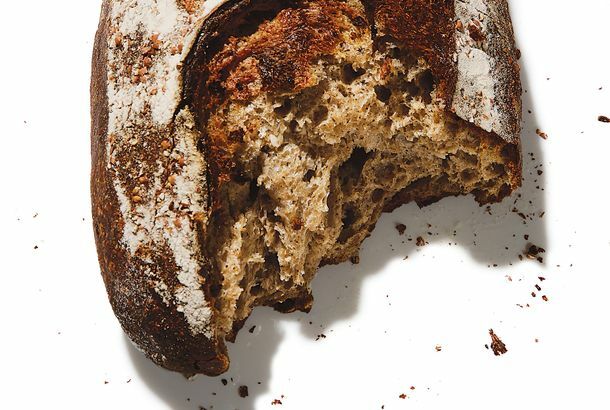 A Noma Founder Wants to Help You Make Better BreadMeyers Bageri is giving away free sourdough starters on weekends. Why This New $18 Plate of Bread Might Just Be Worth ItIt’s served with bone-marrow butter and fermented mozzarella. Great, Now We Can’t Even Count on Bread to Be SafeThe world’s largest baking company is recalling loaves because they might contain broken glass. This Upstate Bakery Is Essentially the Ideal Small-Town CafeIts growth has been slow and organic — just like its food. Moonstruck-Famous Cammareri Bros. Bakery Files for BankruptcyHopefully the bakery can snap out of it. Rye’s Rise: New Loaves That Are More Than a Vehicle for PastramiNew York is experiencing something of a rye revival. Bien Cuit’s West Village Reopening Looking More DoubtfulThe bread is still baking in Brooklyn, however. Maison Kayser Opening Flatiron Location July 17The Parisian superstar baker hopes to open even more U.S. outlets. Carb City: 13 New York Restaurants Serving Spectacular BreadLafayette and Carbone know exactly how you want to start your meal. Hoagie Roll Maker D’Ambrosio’s Loss Is Wawa and Amoroso’s GainAs D’Ambrosio Bakery rolls into history, Wawa gives its competitor, Amoroso a huge boost. Famed Parisian Bakery, Maison Kayser, Rises in NYCFrancophiles are freaking out. Techie Creperie Opens in Midtown; Dollar Empanadas at Havana CentralPlus, unlimited caviar and Champagne at FireBird; new farmstand for Staten Island, and more of today’s leftovers. Precocious British 3-Year-Old Makes Grocery Store Bow DownYoung Lily Robinson renames a loaf of bread, wins the hearts of thousands. Alfama’s New Bread Kiosk Peddles Portuguese CarbsEast midtown gets a new bread shop. Dock Street Finds a Pefect Partner in Metropolitan BakeryThe two local artisan teamed up for Philly Beer Week. Roberta’s Bread Oven Could Feed All of BrooklynThe restaurant’s bread oven, housed in a shipping container, is expected to churn out a thousand loaves a day. Bleeding Heart Bakery Launches BreadA weekly artisan bread co-op takes up shop. Last-Stop ShoppingPick up a loaf of bread on your way to eternity. ’Fuku Yes!Momofuku Bakery and Milk Bar, opening before Friday, has unveiled its menu.